As a joint venture company with such an illustrious parentage, it is our moral obligation to follow a Code of Conduct, which upholds the high reputation and values that Tata and Tesco are renowned for. Our Code of Conduct embraces both the Tata and Tesco codes of conduct. are committed to benefit the economic development and not undertaking any project or activity to the detriment of the wider interests of the countries in which we operate. shall conform to all trade procedures and other necessary formalities, as applicable. We shall prepare and maintain our accounts fairly and accurately in accordance with the generally accepted accounting and financial reporting standards. Our internal accounting and audit procedures shall fairly and accurately reflect the company’s business transactions. We shall have internal controls to provide assurance to the board and shareholders that the transactions are accurate and legitimate. All required information shall be accessible to company auditors and other authorised parties and government agencies. Any willful, material misrepresentation shall be regarded as a violation of the Code, apart from inviting appropriate civil or criminal action under the relevant laws. No employee shall make, authorise, abet or collude in an improper payment, unlawful commission or bribing. Fully support competitive open markets and shall promote the liberalisation of trade. Market the company’s products and services on their own merits without ever making any misleading statements about competitors’ products and services. 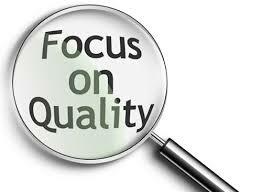 Our dealings with our customers shall be professional, fair and transparent. We respect our customers’ right to privacy in relation to their personal data and we shall safeguard our customers’ personal data, in accordance with applicable law. 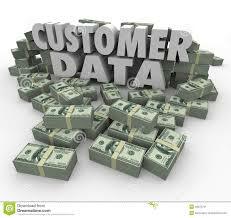 You look after maintaining your company’s customer database. One of your friends asks you for few details from this database for marketing purposes of his new business. He assures you that the data and source will be kept confidential. Should you do so? 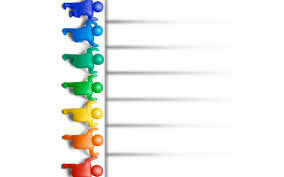 database with any person, without due authorisation. Provide equal opportunities without consideration to race, caste, religion, colour, ancestry, marital status, gender, sexual orientation, age, nationality, ethnic origin or disability. Treat all employees with dignity and in accordance with its policy of maintaining a harassment free work environment. A job requires extensive travel. One of the candidates has excellent relevant experience & qualifications but is a single parent. So, I feel this would significantly hinder his / her ability to cope with the job requirement. What should I do? All eligible candidates should be provided with equal opportunity to demonstrate or justify that they can cope with the travel requirements of the job. Being a single parent, cannot be a ground to be discriminated against, at any stage of recruitment or ongoing employment in our company. 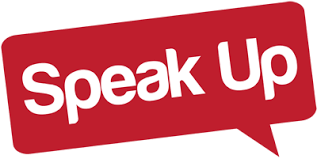 We do not tolerate any form of harassment, whether sexual, physical, verbal or psychological. We respect our employees’ right to privacy. We have no concern with their conduct outside our work environment, unless such conduct impairs their work performance or adversely affects our reputation or business interests. We do not employ children or use forced labour in any form. We do not confiscate personal documents of our employees, or force them to make any payment to secure employment with us. Neither receive nor offer or make any illegal payments, remuneration, gifts or donations to obtain uncompetitive favours for the conduct of business. Employees may, with full disclosure, accept and offer nominal gifts, provided such gifts are customarily given and / or are of a commemorative nature. Not offer or give any company funds or property as donation to any government agency or its representative, unless mandated under applicable laws, to obtain any favourable benefits. 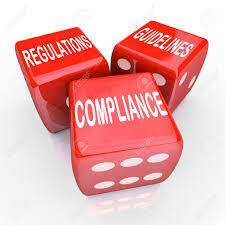 Comply with all government regulations and be transparent in all its dealings with government agencies. be committed to and support the constitution and governance systems of the country in which it operates. not support any specific political party or candidate for political office. THPL shall strive to provide a safe, healthy, clean and ergonomic working environment and shall strive for economic, social and environmental sustainability. 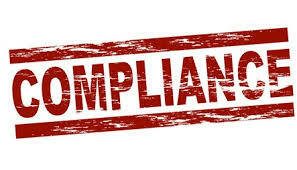 We do not tolerate prohibited drugs and substances from being possessed, consumed or distributed at our workplaces, or in the course of company duties. THPL shall be committed to supply goods and services of world class quality standards, backed by after-sales services and shall display all necessary information on its product packaging. in the compliance of all relevant laws and regulations. 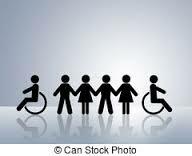 by actively assisting in the improvement of quality of life of the people in the communities in which it operates. 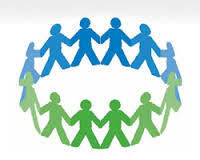 by encouraging volunteering by its employees and collaboration with community groups. by developing systematic processes and conducting management reviews, from time to time so as to set strategic direction for social development activity. We shall select our suppliers and service providers who demonstrate that they share similar values and can adopt ethical standards comparable to our own. Our suppliers and service providers shall represent our company only with duly authorized written permission from our company. They are expected to abide by the Code in their interactions with, and on behalf of us, including respecting the confidentiality of information shared with them. cooperate with Group companies including applicable joint ventures, by sharing knowledge and physical, human and management resources, and by making efforts to resolve disputes amicably through an appropriate dispute resolution mechanism as long as this does not adversely affect its business interests and shareholder value. give preference to other Tata & Tesco companies, in the procurement of products and services, as long as they can provide these on competitive terms relative to third parties. 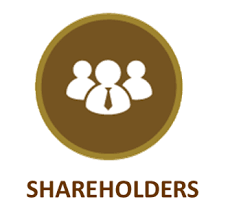 In all its public appearances, with respect to disclosing company and business information to the media, the financial community, employees, shareholders, agents, franchisees, dealers, distributors and importers, THPL shall be represented only by specifically authorized directors and employees. It shall be the sole responsibility of these authorized representatives to disclose information about the company or the Group. •True –Be authentic. Identify yourself as a THPL colleague and please state that ‘All views are my own’ in your profile. •Aware – Remember that everything you post on the internet is public and be aware that media and competitors are watching. •Think – Be responsible with the content you share ensuring there is no offensive content or confidential information being revealed about the Company. •Acknowledge – Respect copyright and give credit to where it is due. 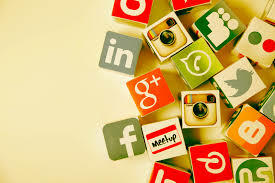 Our company has a “Use of Social Media” code that lays down the “do's and don’ts” for use of social media even if you may access such media on your own time. Why are there such guidelines? External communication is a serious matter. It must be carefully managed because information put out with reference to our company or its businesses needs to be clear, truthful and not violate any undertakings we have given to other parties. 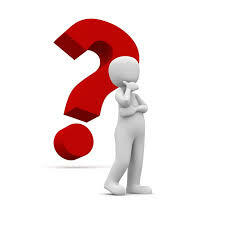 In each business there are managers nominated to authorise and make different types of statements to the outside world. These managers should be consulted about any request for information you may receive or information you think we should give out. In using social media, in particular blogs or social networking sites, you should exercise great caution while talking about our company or the business we do. It may feel like you are chatting with friends or expressing a personal opinion but even while doing so you cannot share any confidential information of our company. Parties which have business dealings with THPL but are not members of the Group, such as consultants, agents, sales representatives, distributors, channel partners, contractors and suppliers, shall not be authorized to represent THPL without the written permission of THPL, and / or if their business conduct and ethics are known to be inconsistent with our Code of Conduct. Third parties and their employees are expected to abide by the Code in their interaction with, and on behalf of, THPL. THPL is encouraged to sign a non-disclosure agreement with third parties to support confidentiality of information. The use of the Tata & Tesco brands either owned by THPL or governed and licensed under the Trademark License Agreement dated 2/06/2014, Trademark License Agreement dated 3/06/2014 or the Clubcard License dated 3/06/2014 shall be regulated as per the terms thereunder. No third party shall use these brands to further their interest without specific authorization by THPL. THPL shall recommend to its Board of Directors, the adoption of policies and guidelines periodically formulated by Tata and Tesco. THPL shall be committed to enhancing shareholder value and complying with all regulations and laws that govern shareholder rights. The board of directors of THPL shall duly and fairly inform its shareholders about all relevant aspects of the company’s business, and disclose such information in accordance with relevant regulations and agreements. We shall keep accurate records of our activities and shall adhere to disclosure standards in accordance with applicable law and industry standards. Exhibit culturally appropriate behaviour in the territories they operate in while conforming to high moral and ethical standards. Preserve the human rights of every individual and the community. Be responsible for the implementation of and compliance with the Code in his/her environment. Failure to adhere to the THPLCoC could attract severe consequences, including termination of employment. Employees of THPL shall comply with all applicable laws and regulations, in letter and spirit, in all the territories in which they operate and if the ethical and professional standards of applicable laws and regulations are below that of the Code then the standards of Code shall prevail. Directors of THPL shall comply with applicable laws and regulations of all the relevant regulatory and other authorities. As good governance practice they shall safeguard the confidentiality of all information received by them by virtue of their position. An employee of THPL shall not, without necessary approval accept employment or a position of responsibility or provide freelance services to any other company with or without remuneration. I am an accountant in my company. Due to my artistic skills, I received an offer to pen cartoons for a children’s publication for which I will receive compensation. I plan to undertake this activity during weekends. Could I accept the offer? Before accepting the offer, you should ascertain whether the company policies and rules require you to make a disclosure to your supervisor so that the company may determine whether your undertaking this activity adversely affects our company’s interests. On confirmation from the company that it does not do so, you would be free to take up the activity. It is also your duty to bring to the attention of the company whenever there is any change in the situation you have disclosed. always act in the interest of the company, and ensure that any business or personal association which he/she may have does not involve a conflict of interest with the operations of the company. not accept a position of responsibility in any other non-THPL or not-for-profit organization without specific sanction. Nominations to the boards of THPL companies, joint ventures or associate companies. Memberships / positions of responsibility in educational / professional bodies, wherein such association will benefit the employee / THPL. Nominations / memberships in government committees / bodies or organizations. An employee or a director of THPL shall not engage in any business, relationship or activity which might conflict with the interest of his/her company or THPL. What comprises a conflict of interest? Engages in a business, relationship or activity with anyone who is party to a transaction with his/her company. 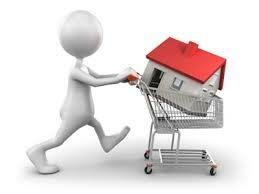 Is in a position to derive an improper benefit by making or influencing decisions relating to any transaction. 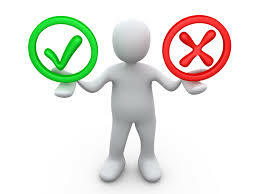 An independent judge of the company’s or Group’s best interest cannot be exercised. Adequate and full disclosure by interested employees shall be made to the company’s management of any interest which the employee or the employee’s immediate family may have in a family business or a company or firm that is a competitor, supplier, customer or distributor of or has other business dealings with his / her company failing to do may lead the management to consider suitable disciplinary action against the employee. Any benefit derived from access, possession or proliferation of insider information about the company or Group or its clients or suppliers amounts to violation. Investment decisions / plans and raising of finances. An employee of THPL shall also respect and observe the confidentiality of information pertaining to other companies, their patents, intellectual property rights, trademarks and inventions; and strictly observe a practice of non-disclosure. Our company has recently announced a new business approach. In connection with this, your journalist friend has asked you to provide some details for him to cover in his upcoming article without revealing your identity. Should you share this information? Only authorised personnel in the company are permitted to speak to the media and provide information of this nature. You have access to revenue numbers of our company. During a conversation with you, your friend asks about the financial performance of our company. You do not share detailed information but share approximate figures. Is this conduct of yours correct? do not need to know this information. Financial information should always be safeguarded and disclosed only on a need-to-know basis after obtaining requisite approvals. Sharing of any price sensitive information that is not generally available with the public could also lead to violation of applicable insider trading laws. All tangible and intangible assets of THPL shall be employed primarily and judiciously for the purpose of conducting the business for which they are duly authorised. The involvement of THPL employee in civic or public affairs shall be with express approval from the Managing Director of his/her company, subject to this involvement having no adverse impact on the business affairs of the company or the Group. Every employee of THPL shall ensure, at all times, the integrity of data or information furnished by him/her to the company. He/she shall be entirely responsible in ensuring that the confidentiality of all data is retained and in no circumstance transferred to any outside person/party in the course of normal operations without express guidelines from or the approval of the management. You are attending a customer meeting with a colleague, and your colleague makes an untruthful statement about the company’s services. What should you do? You should assist your colleague in correcting the inaccuracy during the meeting if possible. If this is not possible, raise the issue with your colleague after the meeting to enable him/her or the company to correct any misrepresentation made to the customer. Getting our messages right directly influences the trust that customers place in us. Ensure that all messages are honest, accurate and fair. Ensure that all messages are responsible and not offensive to any customer. Always use accurate price and product comparison when comparing with competitors. Ensure that your advertising matches your products. Make sure your advertising is appropriate and responsible – especially for alcohol. THPL encourages its employees, customers, suppliers and other stakeholders to raise concerns or make disclosures when they become aware of any actual or potential violation of our Code, policies or law. Whistleblower Policy of the company, providing for reporting to the Chairperson of the Audit Committee or the Board of Directors or specified authority. Such a protected disclosure shall be forwarded, when there is reasonable evidence to conclude that a violation is possible or has taken place, with a covering letter, which shall bear the identity of the whistleblower. We do not tolerate any form of retaliation against anyone reporting legitimate concerns. Anyone involved in targeting such a person will be subject to disciplinary action. My supervisor has asked me to do something which I believe may be illegal. I am afraid if I do not do what I am told, I could lose my job. Should I do it? you both understand the facts. If your concerns are not resolved, contact a higher level supervisor, the Ethics Counsellor at [email protected], the Legal department or report them via the company’s confidential reporting system at 022 - 65850020 (Protector Line). I feel that my supervisor is treating me unfairly for reporting a concern to the Ethics Counsellor. What should I do? Retaliation against anyone who raises a concern is a violation of the Code. You should therefore promptly report this action of your supervisor to the Ethics Counsellor at [email protected] or call the MD/CEO of your company or via the company’s confidential reporting system at 022 - 65850020 (Protector Line). This Code is more than a set of prescriptive guidelines issued solely for the purpose of formal compliance. It represents our collective commitment to our value system and to our core principles. 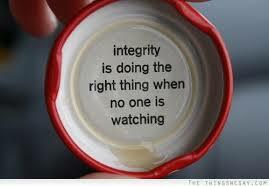 Every person employed by us, directly or indirectly, should expect to be held accountable for his/her behaviour. Should such behaviour violate this Code, they may be subject to action according to their employment terms and relevant company policies. When followed in letter and in spirit, this Code is ‘lived’ by our employees as well as those who work with us. 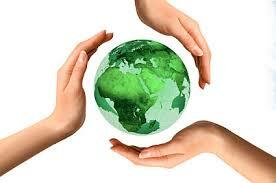 It represents our shared responsibility to all our stakeholders, and our mutual commitment to each other. The THPLCoC does not provide a full, comprehensive and complete explanation of all the rules that employees are bound to follow. Employees have a continuing obligation to familiarise themselves with all applicable laws, company policies, procedures and work rules. For any guidance on interpretation of the Code, we may seek support from our company’s Ethics Counsellor. This version of the THPLCoC supersedes all earlier versions and associated documents and stands effective from 7th March, 2016. Could it directly or indirectly endanger someone or cause them injury? Is it illegal/unlawful or out of line with our policies and procedures? Does my conscience reject it? Does it conflict with my personal values? Would I feel uncomfortable if the story appeared in the media? Would it shame my company, spouse, partner, parent or child? If the answer to any of these questions is “Yes”, please stop and consult your reporting manager, the Ethics Counsellor at [email protected], Protector Line at 022 - 65850020, the Human Resource department, the Legal department or any member of the senior management team, to assist you in making the decision. I acknowledge that I have received the Trent Hypermarket Private Limited Code of Conduct. 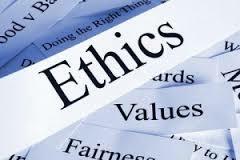 I understand that if I have a concern about a violation or a potential violation of the THPL Code of Conduct, I must promptly report the violation to the ethics counselor, ethics helpline and / or designated authority of my company. To share your acknowledgement of the Code, you are required to share a signed hard copy of Page 16 with filled in details with the Human Resources Team.